A day comes when a cry of the heart comes to awaken us out of the torpor and automatisms of our existence. We aspire to know the Mysteries of life. We do not just want to think about it anymore, we want to live it. This book is not theoretical. It describes an intimate journey in the strata of our being till the initiatory encounter with our soul. It is a question of truth for those who seek to know it by letting go of our beliefs and social masks. A new way to consider and accompany suffering and fear flows from it. A soul-to-soul dialogue becomes possible. The detailed presentation of simple exercises, born from direct experience, provides practical support in this emergence. It is about fulfilling our destiny and finding peace in an embodied spirituality. 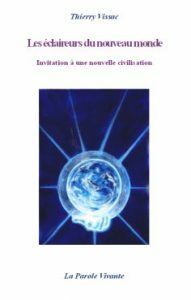 The Crossing describes with precision the method of self-accompaniment proposed by Thierry Vissac. 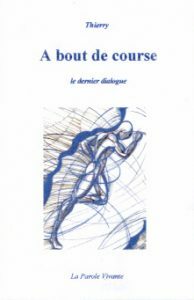 This book responds to a request from readers to have a daily support manual allowing them to integrate autonomously the approach Thierry Vissac presents in his conferences. 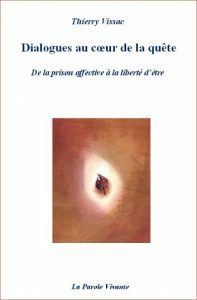 It is a practical and inspiring guide offering the possibility of liberation, in times of crisis as in the simplest moments of our existence. 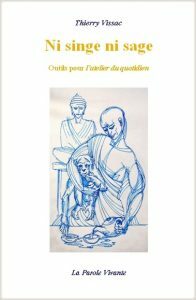 This book invites us to a radical, practical and salutary review of our beliefs in order to return to a spirituality without a past allowing us to see what’s real, to realize who we really are, to know our desires, our motivations and our vocations, to evaluate the accuracy of our actions and choices as well as our human potential. The mutation is inevitable. For today’s man, the sustainability of the human race is in question. Nature will choose between our species and another possible, able to stand on a beautiful planet. To reinvent the world is not to engage in a revolution by seeking culprits to punish. An approach of self-knowledge is essential and putting priorities into perspective an absolute urgency. Tracing tracks from the affective to the spiritual quest, from non-dual walkabout to true welcoming, from the other as the sole source of love to a genuine friendship with oneself, from riveting fascination with models to love of what is… This book is already raising controversial lids and opening breaches into the fortress world of the most widespread spiritual beliefs. Although The Ape on the Wise Man’s Path seeks to flush out readers from behind their entrenchments and confront them with their illusions, it does so as a supportive friend, placing helpful markers along the road to simplification. The texts in this book are presented as a succession of moments that can be applied by everyone in everyday life. These are simple tools that allow us to befriend our human condition while realizing our spiritual nature, a balance that has long been lost in the meanders of our various quests. The author invites us to an exploration that leads us closest to ourselves, in the letting go of masks and the relief of being true, in the deep and loving acceptance of what is, carried by the simple joy of being alive and, by this exposure, of offering to the world the best of man. 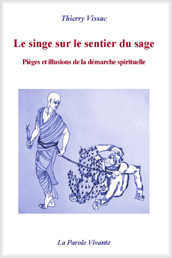 The book takes the form of a dialogue between a spiritual seeker and a person to whom he turns for help. Intimate and profound, the exchange covers the eternal questions of someone searching for himself. The incisive answers cut through the searcher’s closed and painful universe, inviting him to abandon his race rather than accelerate it. 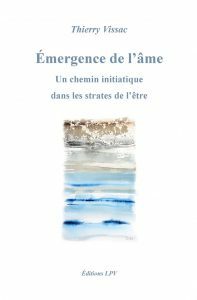 The book is an invitation to peace, simplification and an awakening to what is already intimately present within us but distorted by beliefs and expectations.